Having played the PS3 version of ibb and obb nearly a year ago, my interest was piqued when I heard it was coming to Steam. 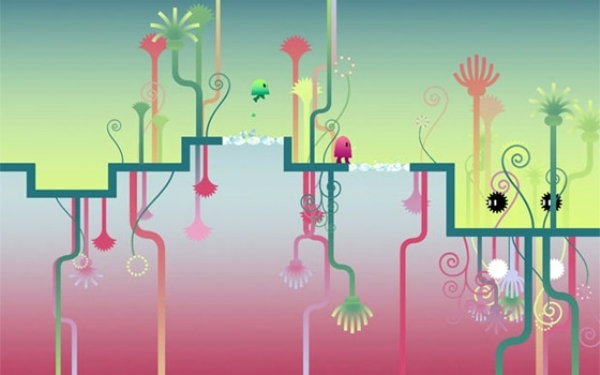 Orginally released for the PS3 in August 2013, ibb and obb is a co-op 2D puzzle platformer in which the player controls one or both blobs in their journey to overcome obstacles and collect gems. That’s the game in a nutshell, really. 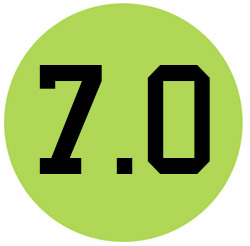 There’s no real plot, or even a basic premise beyond simply progressing through the level. Progress is made by solving a series of simple intuitive platforming puzzles as you manipulate gravity, momentum, and even the other player. Fans of Portal 2 will feel right at home. The game is visually striking, toting a minimalistic art style with a highly contrasting colour palette that manages to vibrant and eye-catching, without ever becoming an eye-sore. At times, each individual player will be walking on opposite sides of the floor, each of which is characterised by complementing warm and cool colours. The sounds of ibb and obb are just pleasant, if not more so. The soundtrack creates a large amount of ambiance through its subtle and relaxing music, which lends itself really well to the carefree nature of the experience. 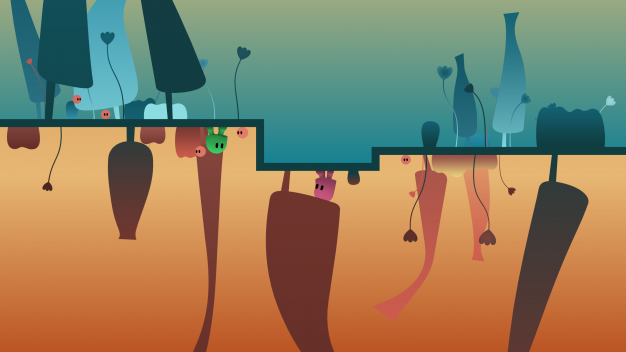 At its core, ibb and obb is about working together with a friend to overcome tricky puzzles, which can lead to a lot of laughs-or ruined friendships. If you want something that will really make you scratch your head, this is it. As a puzzler, it certainly does puzzle. Only a couple levels in, I was already on the verge of quitting. But then again, I’m not very good at puzzles, so take that with a huge grain of salt. If you’re the sort who wants challenging brain-ticklers, look no further than ibb and obb. Of course, it probably doesn’t hurt that the game is enjoyable in a tactile sense, either. Perhaps the first thing I noticed was how smooth and repsonsive the controls felt, despite its focus on puzzling over platforming. Still, the simple joy of jumping into a portal and coming out the other side with an equal amount of force, allowing you to just reach that ledge, is a very a satisfying feeling. Though it really doesn’t lend itself well to multiple playthroughs, there are secrets to be found and score to perfect, so if you’re really into what ibb and obb does, there’s still something to come back to, though admittedly not much. 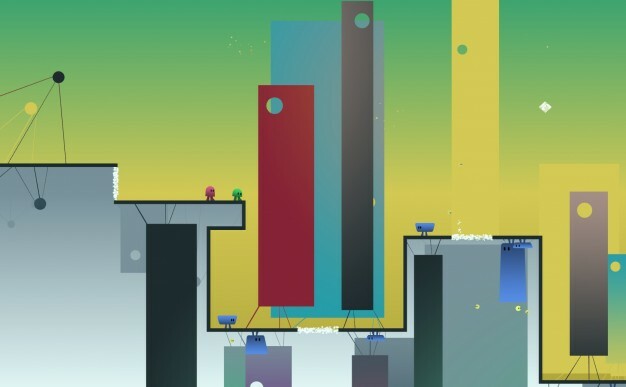 ibb and obb offers a very simplistic title with a minimalistic style that accomplishes what it sets out to do. Its biggest strength, as well as its greatest weakness, is its heavy focus on cooperative play. If you’re looking for something you can play by your lonesome on your own time, you may want to give this game a pass, as trying to control both can be headache-inducing, as the game was clearly never designed for it. If you’re looking for something you and a buddy can play, be it online or local, this will a great game for you, more so considering the generous discount you get for buying two.